Kandeh Yumkella has informed me of his intention to step down as my Special Representative for Sustainable Energy for All and Chief Executive Officer of the Sustainable Energy for All Initiative. I would like to express my deep gratitude for his outstanding service. Mr. Yumkella has been a visionary and dynamic leader of the Sustainable Energy for All initiative. Through his passionate advocacy, he has been at the forefront of a new global narrative on energy as a centerpiece for sustainable development and climate change, helping shape the proposed Sustainable Development Goal on energy. His drive and compassion enabled him to lead this global movement on sustainable energy for all to mobilize action across all stakeholder groups, potentially making a difference for millions of people across the world. Throughout his career, Mr. Yumkella has consistently demonstrated a strong and unwavering commitment to the values and mission of the United Nations. 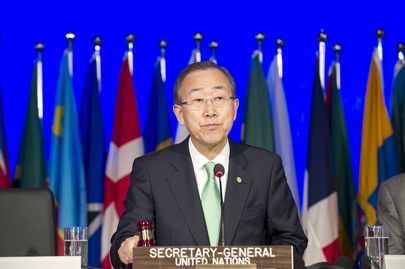 Prior to his current position as Special Representative, he served two terms as the Director-General of the United Nations Industrial Development Organization from 2005 to 2013. 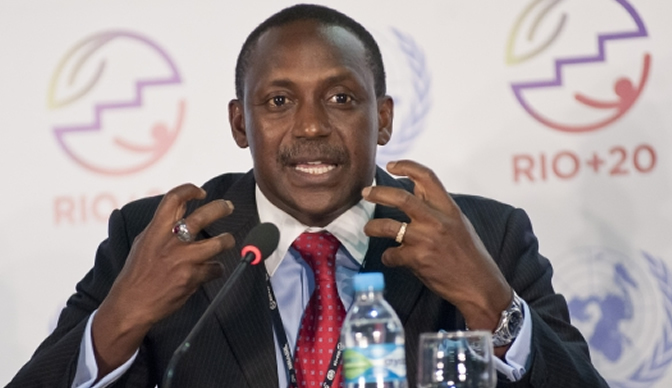 Among his various leadership roles within the United Nations, Mr. Yumkella served as Chair of UN-Energy, Chair of the Secretary-General’s Advisory Group on Energy and Climate Change from 2008 to 2010, and as Co-Chair of the Secretary-General’s High-level Group on Sustainable Energy for All. Arrangements are being made for the new leadership of the Sustainable Energy for All initiative and will be shared in the future.